HUGH ACHESON is the author of the James Beard Foundation Award Winning Cookbook A NEW TURN IN THE SOUTH: Southern Flavors Reinvented for Your Kitchen and chef/partner of the Athens, Georgia, restaurants Five and Ten, The National, and Cinco y Diez and the Atlanta restaurant Empire State South. 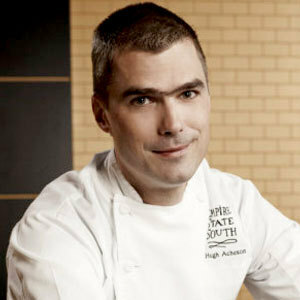 He is a James Beard award winner for Best Chef Southeast and was named a Best Chef by Food & Wine Magazine. Hugh competed in Bravo’s Top Chef Masters, Season 3 and currently stars as a judge on Top Chef. Chef Acheson’s food philosophy includes elements that come together to build and support communities. He speaks about the importance of creating a sense of community and social contracts between one another to support and give back to the community. There is a community that exists within a restaurant between the staff and the guests and a community within guests sitting around a table. To nurture these communities, it’s vital that a restaurant is conducive to clearly hearing one another. Restaurants by nature are noisy – designed with high open ceilings, large windows, exposed brick, tile or cement floors, etc. These hard surfaces make it difficult for staff to hear guests and worse for guests to hear one another. 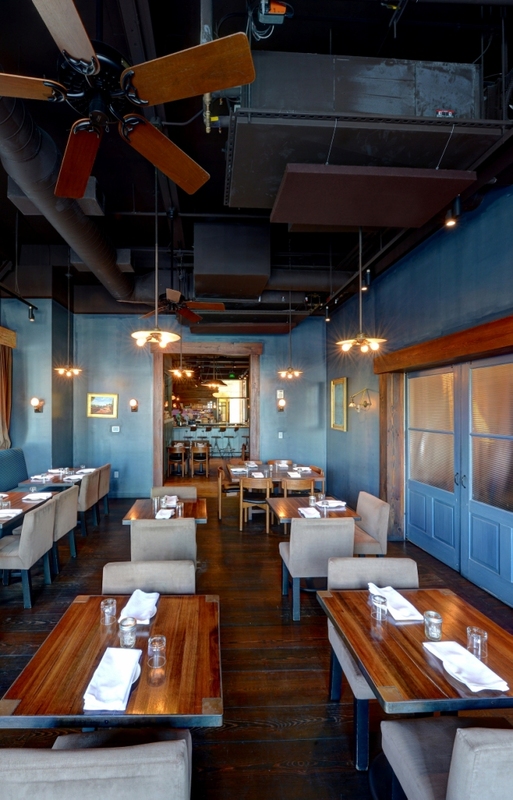 Noise control is key to ensure a restaurant is audibly comfortable. 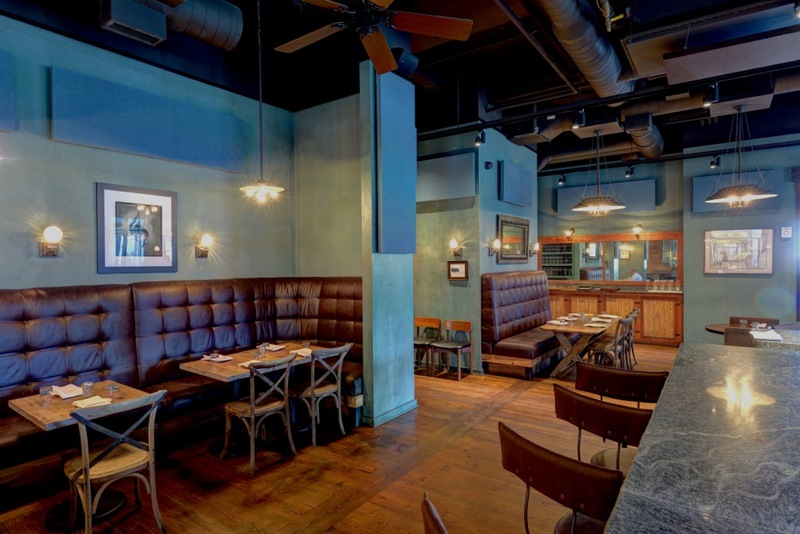 Chef Acheson and his team recently installed GIK Acoustics sound absorption panels in his Atlanta restaurant, Empire State South which was named Restaurant of the Year by Atlanta Magazine in 2011. 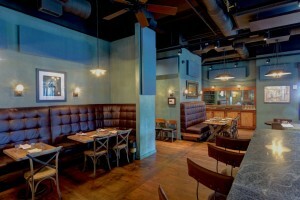 The restaurant definitely draws a crowd, and that crowd can be quite boisterous. 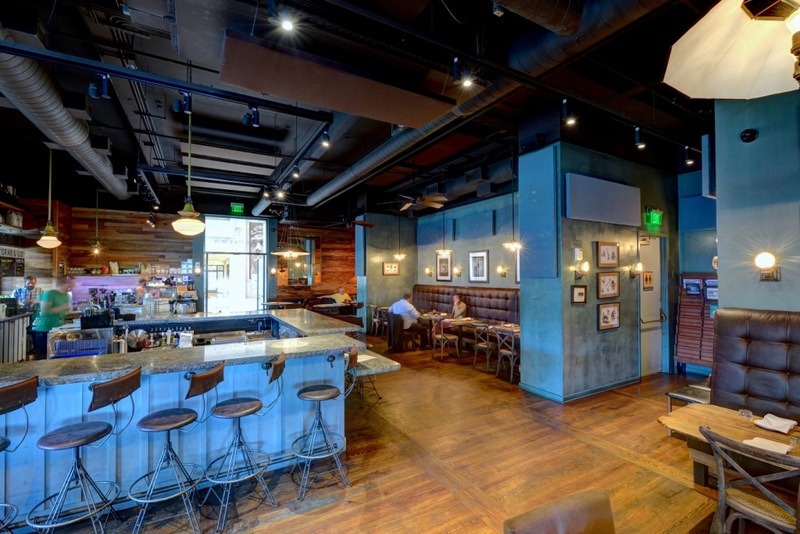 Acheson and his staff knew the space needed a bit of fine tuning and turned to GIK Acoustics to help reduce the noise and provide a calmer, quieter dining experience. 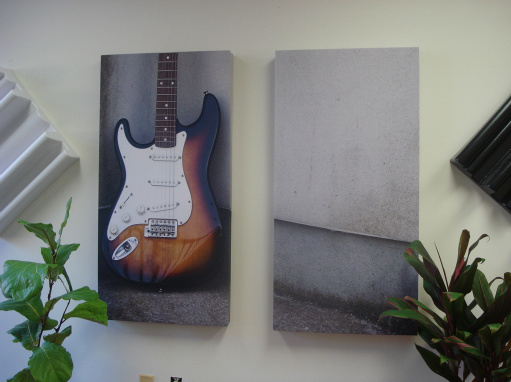 We stepped in with two dozen custom Spot Panels which were placed along walls, hallways and hung horizontally from the ceiling. Using complimentary Aquamarine and Chocolate fabrics, the panels virtually disappear from view, but the results are effective and noticeable. We spoke to Chef Acheson about his restaurants and designing with acoustics in mind. GIK: You have three successful – and beautiful – restaurants in Georgia. 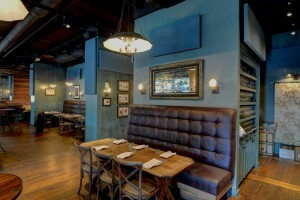 Each embraces a unique feel: from the community restaurant Five and Ten to the Mediterranean bistro The National to the chic understated Empire State South. 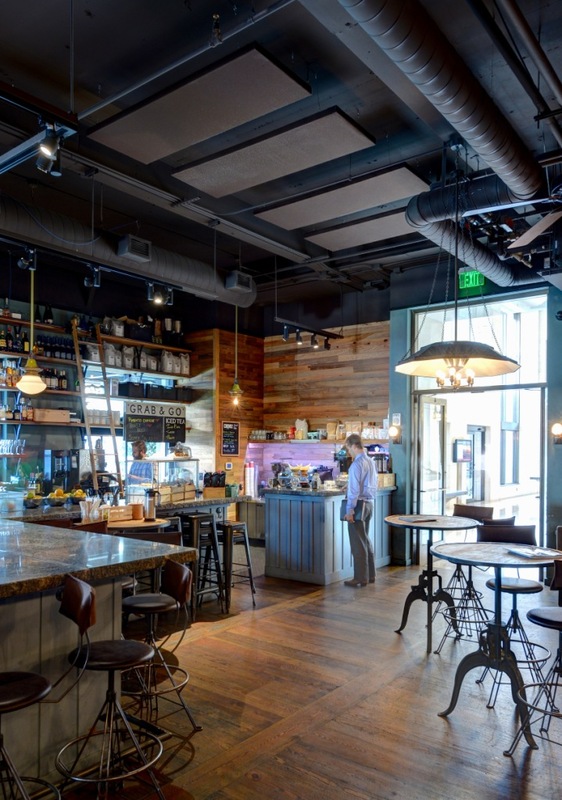 Much of your own personality is included in each space, so how would you classify your restaurant design aesthetic? HA: Thank you! Each of the restaurants was designed at a different point in my career, and so they each have their own aesthetic identity. One thing they do all have in common is an appreciation of locality. Also I want our guests to feel comfortable, and at home in our spaces. I want them to relax, enjoy a good meal and each other’s company. GIK: You recently relocated your first restaurant in Athens, Five and Ten, to a new location and are opening a Mexican cuisine restaurant in the former space. In addition you’re developing your fifth Georgia restaurant in Savannah called Florence. What do you look for in a space? HA: A good lease arrangement! And a great design team who can transform any space into something interesting and cool. In this case, the building is an old ice factory and glass store. The building has a lot of history and is in a very historic town. 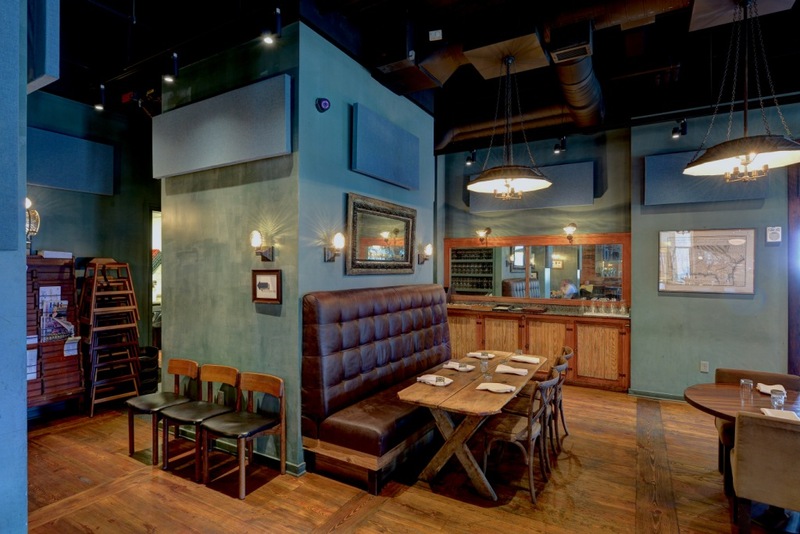 GIK: How did you and your team come to the conclusion that installing sound absorption panels was the next step for your restaurant Empire State South? And since their installation, what impact have you noticed on the sound within the space? HA: We just felt the need to dampen some of the loud sounds that were bothering some of our clientele. The panels have made a significant impact on containing sound and making the space conducive to a better dining experience. GIK: Your restaurants are well known for not only outstanding cuisine but a dining environment with great attention to detail placed on the design, atmosphere, style and comfort. How do GIK Acoustics panels work within the décor at Empire State South? HA: As best as possible, the panels are designed to not even be noticed. They blend very well with our colors and spaces. GIK: What advice would you give to restaurateurs who are embarking on their own establishments in terms of incorporating a design for sound & acoustics as well as designing for aesthetics? HA: Think about acoustics early on in the process.